Rhonda Carlson is an international performance coach, director, and music director with extensive credits from Los Angeles to Moscow. 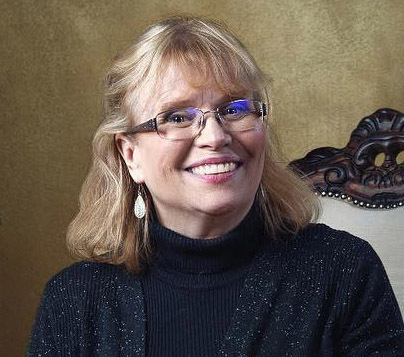 With over 40 years of teaching experience, Rhonda has taught music and theatre in such programs as The Boston Conservatory and Boston University, and currently teaches in the graduate theatre program at The University of Nevada-Las Vegas and for Profty Education, an international performing arts education organization. Rhonda’s students have appeared on Broadway, in national tours, on television and in film, and have been accepted into the most prestigious performing art programs in the world. In addition, she has coached finalists and semi-finalists featured on The Voice and American Idol. Her book, What Do I Do With My Hands?-A Guide to Acting for the Singer is used in university and professional programs across the US and abroad. Rhonda currently resides in Las Vegas, Nevada. As a composer-playwright, her award-winning musical, Dear Emma, has received critical acclaim from numerous sources, including the LA Times, and her play, Fly Over Land, was the 2009 winner of The Larry Course International Playwrighting Competition. The play addressed the devastating effects of chronic pain and was featured in a symposium on pain sponsored by The University of Missouri- Kansas City. Rhonda has composed scores for independent films and books-on-tape and has served as a host for the educational series, You Can Make Music (CA) and for the internationally syndicated Liberty News TV. She has performed with Opera Midwest in Chicago and The Portland Symphony, and has extensive experience in national and regional commercials as an on-camera personality and voiceover specialist.